Significant times and events you might encounter in your life. 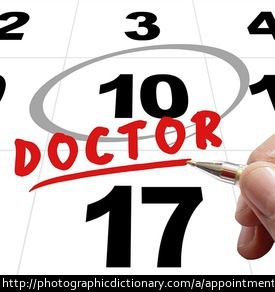 An appointment is a scheduled time when a meeting will take place, such as a doctor seeing a patient. Your birthday is the anniversary of your birth. Birthdays happen once a year on the same date as you were born. You usually get together with your family and friends on your birthday, and have a party with cake. 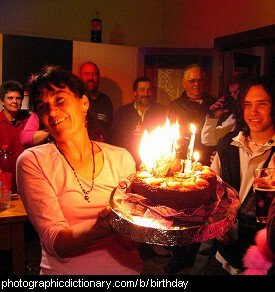 A celebration is a party for an event like a birthday or holiday. 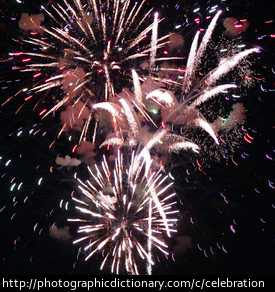 Fireworks are often a part of big celebrations like New Year's Eve or the Fourth of July. 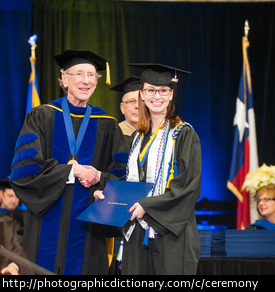 A ceremony is a ritual or celebration that marks the completion of a major life event such as a wedding or graduation from school. 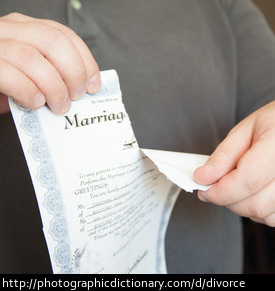 Divorce is the legal end of a marriage. 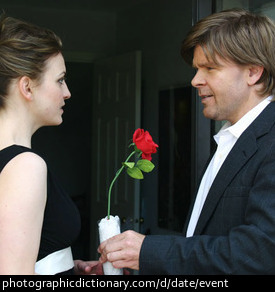 When two people decide they don't want to be married any more, they go to court where a judge gives them a divorce. 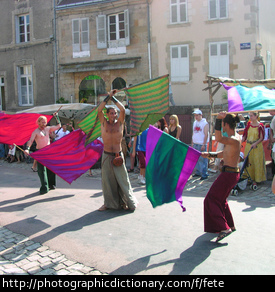 Fete is a French word for party. 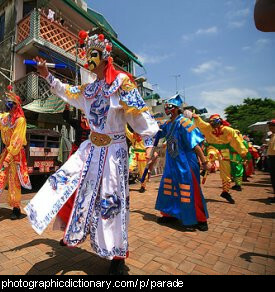 A parade, also called a marchpast, procession or pageant is usually part of some kind of celebration. Many people walk some distance in a line. There is usually lots of music, and the people in the parade are dressed up in fancy costumes. Sometimes there are also large, decorated vehicles called floats in a parade. 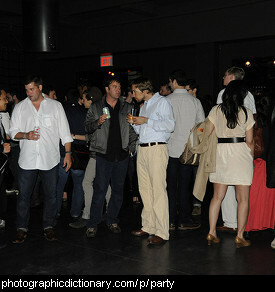 A party is an event where a group of people get together and have fun. Parties often have food and drinks served at them. 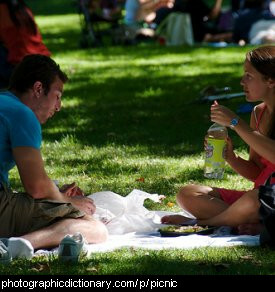 A picnic is a meal eaten outside, away from home. People usually have picnics in a park when the weather is nice. Usually you bring your meal packed in a picnic basket and eat it on the ground on a blanket.